Blend all ingredients in a food processor. 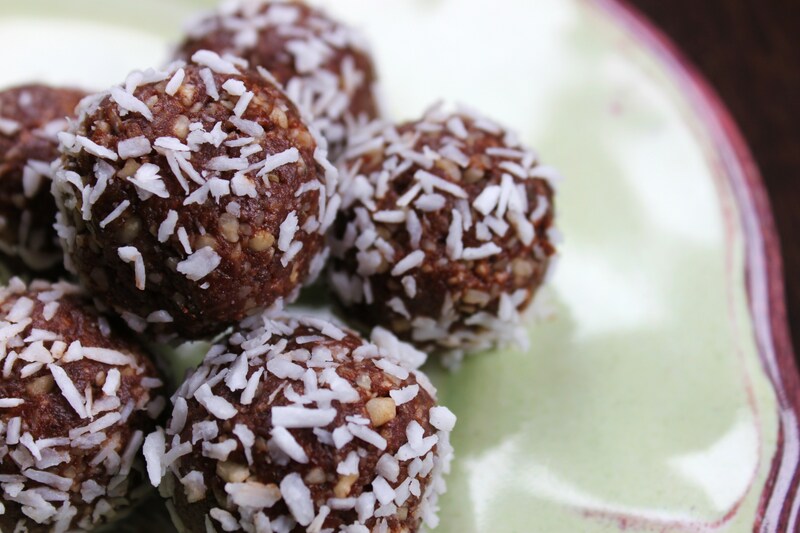 Squeeze together and roll into bite size balls. Roll in coconut and store in the fridge in an airtight container.